The Broncos certainly tried their best to honor Kenny McKinley as they battled the Colts in an upset bid. I have to admit that Denver actually played much better yesterday than I thought they would against league juggernaut Indianapolis. The defense in particular was outstanding considering the amount of time they had to spend on a short field following turnovers. Sure, Peyton Manning threw for 325 yards and three touchdowns, but it was a quiet 300 yard day if there is such a thing. The Broncos were able to get good pressure on Manning most of the day and he had to work to get his completions. 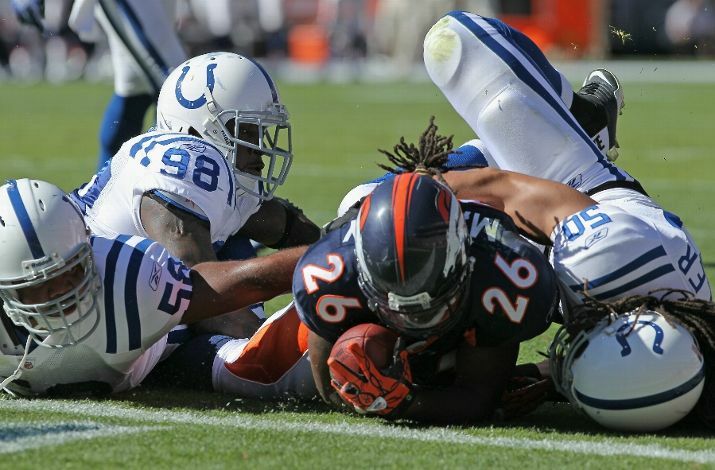 The Broncos completely shut down the Colts’ running game, holding Joseph Addai to just 29 yards on 13 carries. Considering the positions the defense ended up in, I think they did an outstanding job against Manning and company. Offensively, Kyle Orton passed for a whopping 476 yards, the second highest single game total in Broncos history (trivia question: can you name who is number one on the list? You might think it’s easy but you would be wrong, answer below). Jabar Gaffney caught 12 balls for 140 yards, his second game with more than 10 receptions as a Bronco. Brandon Lloyd made several big plays, finishing with 169 yards on six catches. All told, nine players caught a pass from Orton in the game, so he did a terrific job distributing the ball. No one with a sane mind can question that Orton has a complete command of this offense. His 48-yard touchdown pass to Lloyd was a thing a beauty. The problem for the Broncos was the running game. It was obvious that they really missed Knowshon Moreno, who sat out with an injured hamstring. New acquisition Laurence Maroney rushed for just 24 yards on 12 carries (although he did have a 28 yard catch), while Correll Buckhalter rushed for 12 yards on four carries. It is easy to point the finger at the backs, especially after former Bronco Peyton Hillis ran all over the powerful Ravens defense to the tune of 140 yards yesterday, but running the football is about more than the backs. The Broncos still have offensive line problems, owing mostly to the fact that three rookies are starting along the line these days and the fact that All-Pro left tackle Ryan Clady is still not quite healthy from his offseason knee injury suffered back in April. Running the ball requires cohesiveness from the backs and from the line, and right now the Broncos don’t have it from either. I say it every week, but Denver is going to have to figure out how to run the football, or it won’t matter what the passing game does. The Broncos also have the same issues in the red zone as last season (and it seems for five seasons or so). All told, the Broncos had four trips in the red zone and came away with six points on two field goals. The Broncos turned it over on downs twice, once in the second quarter when an apparent Maroney touchdown was reversed by replay and again in the fourth quarter when and Orton and Lloyd weren’t on the same page on a 4th and 3 play. It goes without saying that good teams execute in the red zone and convert their touchdown opportunities. This goes back to the lack of a running game, because yesterday the Colts defense had the luxury of defending the pass when backed up in the red zone and didn’t really have to worry about Denver’s non-existent running game. It’s not a secret that you need to plan on scoring at least 24 points to even have a chance of beating the Colts. Manning is just too good for even the league’s best defenses to hold down for an entire game. The Broncos moved the ball well enough offensively to be able to compete with the Colts, but red zone failure and an inability to establish a running game doomed them in the end. Still, they had plenty of chances to make plays, and the fact they were even in the game against one of the league’s elite teams in the fourth quarter was a shock to many. Obviously there are no moral victories in the NFL, and certainly the Broncos are in an early hole with a 1-2 record and difficult schedule ahead, but there are positive signs from the passing game and the defense. I think the Chiefs’ 3-0 start in the AFC West won’t last, so the Broncos still have plenty of opportunity to be a player in the AFC West before the year is over. If Denver can solve the running game problem, things could get much better for the orange and blue in the coming weeks. Trivia answer: Jake Plummer, who threw for 499 yards against the Falcons in 2004. 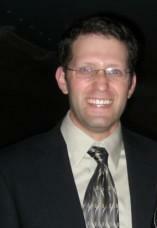 This entry was posted on September 27, 2010 at 9:26 pm	and is filed under football. Tagged: Denver Broncos, National Football League, NFL, sports. You can follow any responses to this entry through the RSS 2.0 feed. You can leave a response, or trackback from your own site.